Forgive me, but the title is a bit misleading! Don't wait until school is out to begin applying for trucking jobs. You should apply to many different trucking companies as soon as you know the completion date of your school. 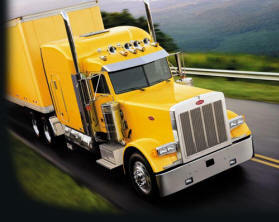 Trucking companies can, and do, take their time going over your application and giving you a pre-hire. Start your research early. Follow along and I'll tell you what I did and the insights I gained. Are you hiring student drivers? What is the location and length of orientation? What is the length of training and what am I going to be paid while training? What is the rider policy? How much did the average student driver make last year? It's important to ask what the average student driver made. Pay per mile and average number of miles per week are fine, but your miles per week will most likely vary. It is better to know what the average student driver made. Call the companies on your list. Be persistent and patient. Getting through to somebody can take some time and repeated phone calls. One recruiter told me that they have thousands of applications and almost as many phone calls. They have to weed through all of these to get to yours. It takes time. Remember to have your questions written down. This will let you get the most information in the least amount of time. Your recruiter will take a liking to you for this. Also remember that the recruiter has two main jobs; to give you information and to sell you their company. Yes, recruiters are salespeople. As with all salespersons, take what they say with a grain of salt. They cannot usually make a blanket promise about training, truck assignments, or working conditions (time off, etc). If they do promise you these things remember that once you have been hired they are not your point of contact. Once hired, you will deal with your student driver manager , fleet manager , or driver manager. They go by many titles, but I prefer to use the title "Boss". Fill out online applications for all companies you are interested in. Be honest about any driving issues and any personal background issues. The company will do a background check and they will find out anything you may be hiding. This is required by Homeland Security and the companies take this very seriously. If you lie or fail to list something, you won't get hired. Remember, be patient and understanding. Getting frustrated because things are not going as fast or as well as you would have liked will not make things any better. In my next post I will let you know what has gone on during my orientation and initial driver training. Related Content: You can also find a number of great articles on TruckingTruth with advice on finding the right truck driving job.